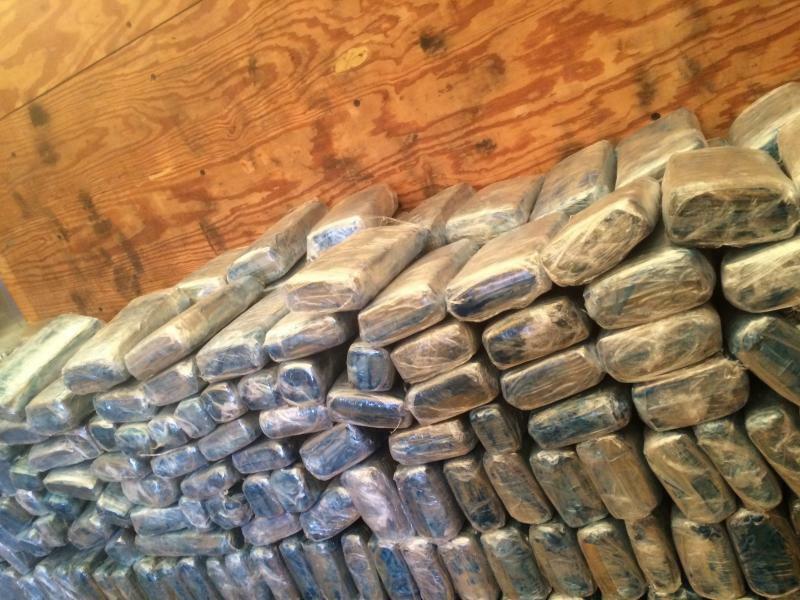 Customs agents seized six tons of marijuana and 49 pounds of heroin in two separate incidents with a street value of more than $8 million over the weekend at Otay Mesa Port of Entry, it was reported Monday. The first incident, shortly after noon Saturday, Custom and Border Protection officers stopped a tractor-trailer truck that was supposed to be carrying a shipment of furniture. During secondary inspection, officers discovered discovered 1,162 wrapped bundles of marijuana concealed inside boxes and behind a false-wall built into the front of the trailer. A total of 12,657 pounds of marijuana was offloaded from the trailer, valued at approximately $7.6 million. The driver, a 46-year-old Mexican man from Tijuana, was turned over Homeland Security. On Saturday, a Border Patrol canine unite alerted agents to a 2007 Chrysler Sebring driven by a 57-year-old American man. While conducting an intensive search, officers discovered 32 wrapped packages of heroin concealed in both of the vehicle’s rocker panels. A total of almost 49 pounds of heroin was removed from the vehicle, worth an estimated street value of more than $580,000. In both incidents, the drivers were transported to the Metropolitan Correctional Center to await criminal arraignment.